The What’s Hot in Parkinson’s disease blog written in April 2013 featured a new extended release dopamine drug called IPX066. This new dopamine formulation achieved full FDA approval in January 2015. The drug is now sold under the name Rytary. At National Parkinson Foundation we frequently hear from Parkinson’s disease patients that current carbidopa/levodopa medication preparations fail to adequately address disease-related symptoms. In this month’s What’s Hot column we will update you on important information on Rytary, and also offer a few tips for switching. 6 Too many medication dosage intervals (e.g. taking medications every 1-2 hours throughout the waking day). Patients may also have other disease related issues that levodopa preparations will not address, including walking, balance, talking, and thinking issues, but these will likely require a totally different approach than simple levodopa replacement or Rytary. Dr. Robert Hauser at the National Parkinson Foundation Center of Excellence at the University of South Florida, along with colleagues from 68 North American and European study sites, recently published a paper on a new extended release formulation of carbidopa/levodopa (IPX066 now called Rytary). The new formulation of carbidopa/levodopa extended release (IPX066/Rytary), is different than its predecessors. It contains special beads designed to dissolve at different rates within the stomach and the intestines. The medication capsule was designed to provide longer lasting benefit for patients with Parkinson’s disease. The randomized study included 393 Parkinson’s disease patients who reported at least of 2.5 hours of “off time,” defined as periods when they felt the medication was not working. The authors aimed to improve the number of hours of “off time” each day for patients randomized to the new extended release formulation (IPX066/Rytary) as compared to the older and standard regular release carbidopa/levodopa. The results revealed that the group on extended release formulations took less overall medication dosages (3.6 vs. 5 doses per day); however they also took more total pills. The daily “off-time” improved by over an hour each day in the extended release formulation. Both medications in this trial were safe and well tolerated. 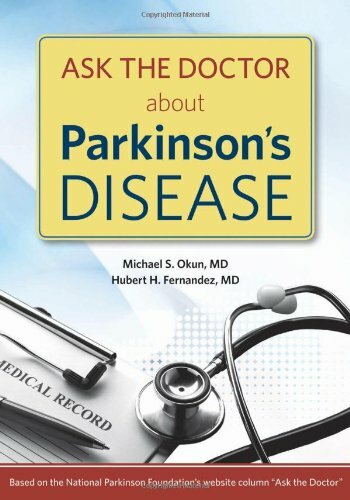 If we return to the six areas (listed above in bullet points) where Parkinson’s disease patients have been seeking improved medication formulations, Rytary was observed to improve issues in two categories: wearing off between dosages, and improvement by increasing the time interval between dosages. The results of the current study cannot be widely applied to patients with severe dyskinesia, severe on-off fluctuations, and later stage disease. The new extended release formulation also increased the total blood-stream levodopa exposure by 30-40% as compared to conventional immediate release levodopa. Increasing levodopa in the bloodstream is thought to decrease the threshold for dyskinesia, and this has been observed with other Parkinson’s drugs such as Entacapone and Stalevo. Although dosed less frequently, the extended release formulation can require more total pills per day (see FDA conversion table below). The authors of the Rytary study felt that a newer formulation of the same drug, which they anticipate will be used in future clinical practice, would allow for a decrease in pill number. In a recent interview with the lead author, Dr. Hauser, we addressed some of the important tips for switching to Rytary. · Dosages of Rytary are not interchangeable with other levodopa (Sinemet or Madopar) products. · The most important information for patients and families is to avoid magical thinking when switching to the Rytary formulation of levodopa. Further dose adjustments will be likely after the initial medication switch. It will be important for the patient, family, and doctor to discuss the symptoms and optimize and tweak dosages and intervals on the Rytary formulation. · The FDA label on Rytary provides a nice chart on general (approximate) recommendations for dosage switching. We have replicated this table directly from the FDA label and provide it below. Patients and families should be excited by the news of this new formulation of carbidopa/levodopa. However, patients and clinicians should be aware that there are limitations in the use of Rytary, and that caution should be exercised, especially because in select cases dyskinesia may manifest after switching. Dosages and dosage intervals of any formulation of carbidopa/levodopa, including Rytary, should be carefully adjusted at each clinic visit to address changes in Parkinson’s symptoms. Patients may also be slightly disappointed that 3-4 capsules of Rytary may need to be taken at each dosage interval. The success or failure of dopamine replacement therapy will always be more dependent on the expert adjusting the therapy than the formulation itself. 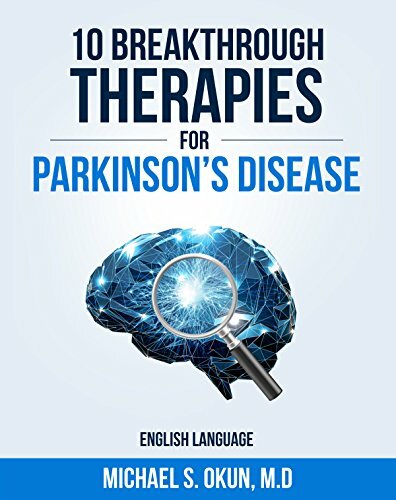 The “timing is critical principle” from Parkinson’s Treatment: 10 Secrets to a Happier Life should be considered during dose adjustments for any Parkinson’s disease patient. It is really positive news that drug manufacturers are now listening to Parkinson’s disease patients, and are trying to address the major concerns, though there is a lot of room for improvement and more formulations in the marketplace. M, Kell S, Gupta S; APEX-PD Investigators. Randomized trial of IPX066, carbidopa/levodopa extended release, in early Parkinson's disease. Parkinsonism Relat Disord. 2014 Feb;20(2):142-8. doi: 10.1016/j.parkreldis.2013.08.017. Epub 2013 Sep 5. PubMed PMID: 24055014. 2: Hauser RA, Hsu A, Kell S, Espay AJ, Sethi K, Stacy M, Ondo W, O'Connell M, Gupta S; IPX066 ADVANCE-PD investigators. Extended-release carbidopa-levodopa (IPX066) compared with immediate-release carbidopa-levodopa in patients with Parkinson's disease and motor fluctuations: a phase 3 randomised, double-blind trial. Lancet Neurol. 2013 Apr;12(4):346-56. doi: 10.1016/S1474-4422(13)70025-5. Epub 2013 Feb 26. PubMed PMID: 23485610. 3: Hauser RA. IPX066: a novel carbidopa-levodopa extended-release formulation. Expert Rev Neurother. 2012 Feb;12(2):133-40. doi: 10.1586/ern.11.195. Review. PubMed PMID: 22288668. 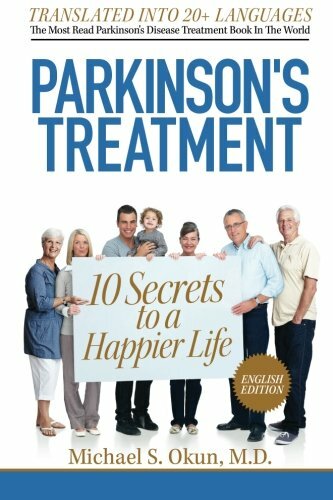 5: Okun MS. Parkinson’s Treatment: 10 Secrets to a Happier Life. Createspace, 2013.